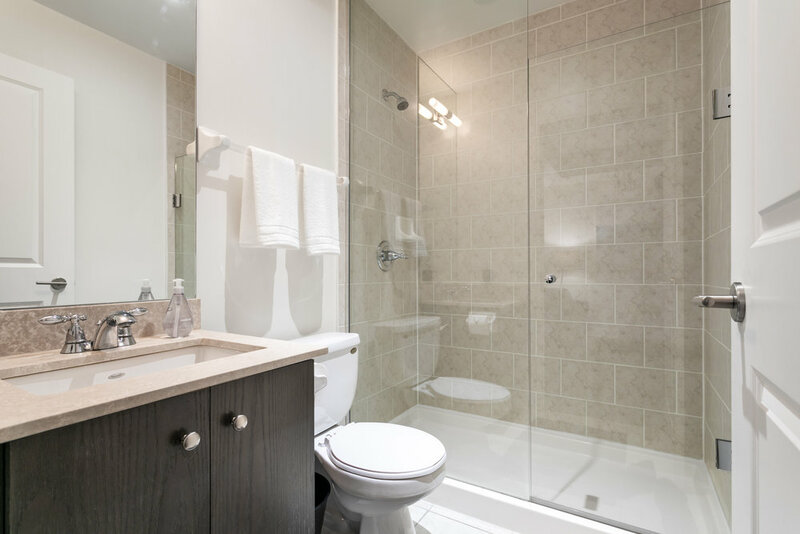 Large 1 Bedroom + Den 2 Bathroom Furnished Rental In Toronto, Yorkville, it can sleep 3 people comfortably. 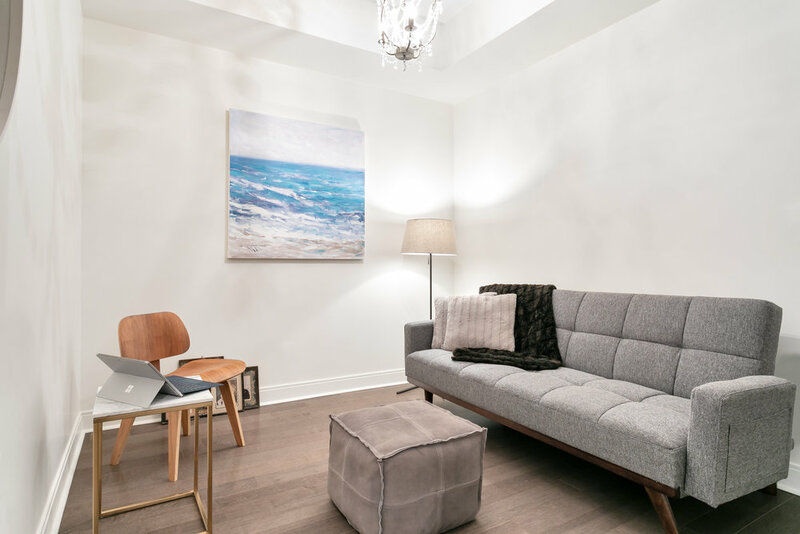 This Yorkville Short Term Rental Apartment features a comfortable sofa in the den that turns into an extra bed. The furnished condo faces on a very quiet side street, and is a very private furnished apartment in downtown Toronto. 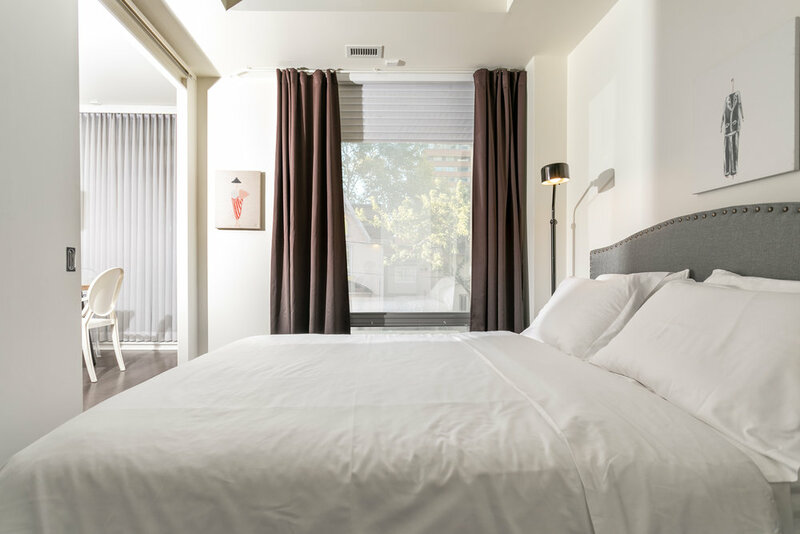 This is one of our most short term rentals in Toronto and boasts a spacious 690 square foot living area, with ample natural light and an open concept second room. It is furnished with premium furniture, 9 ft ceilings, modern sand-charcoal hardwood flooring in every room, and floor to ceiling windows that run along the entire apartment, providing every room has natural daylight. It has been furnished by a professional designer with contemporary furniture. The living room features a modern elephant grey leather sofa, which is very comfortable. The modern floor lamp from West Elm provides a nice atmosphere at night time. 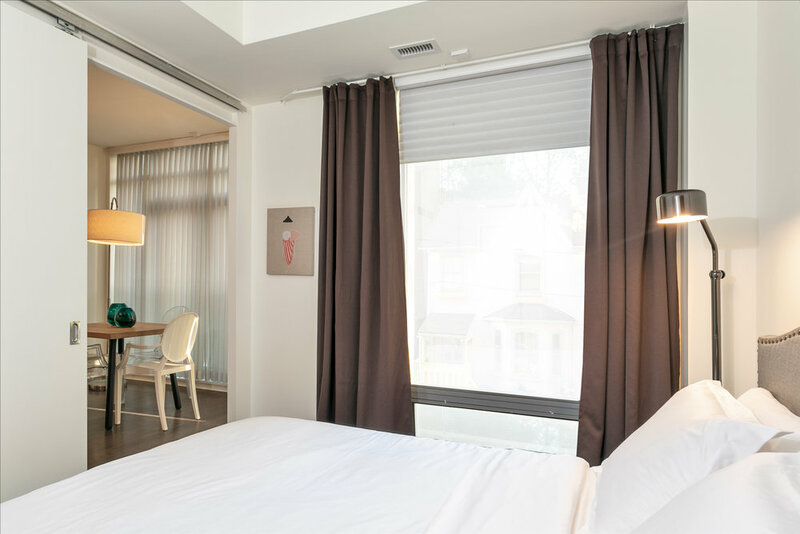 The suite features a 43 inch HD TV, and a full TV channel package is included with your furnished rental. The natural wooden dining table in the den seats 4 people comfortably. The kitchen comes standard with stainless-steel appliances, grey granite counters, and is stocked fully for you to cook and entertain in the comfort of your own home. Full cookware set of pots and pans, dishware, glasses, and cutlery set, all come in sets of 6, in addition to a coffee machine. The second bedroom den features a queen sized sofa bed and a fully functioning desk. 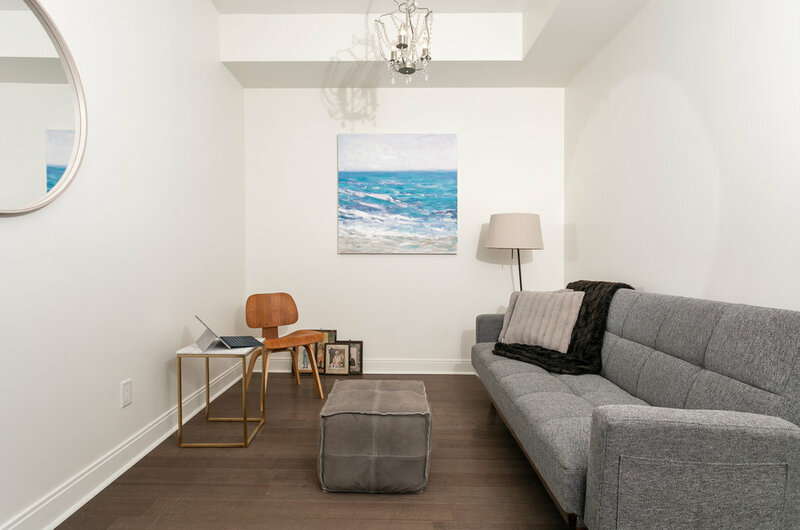 This furnished rentals toronto condo in downtown Toronto includes Unlimited Rogers high speed WIFI internet so that you can use it for streaming your entertainment. 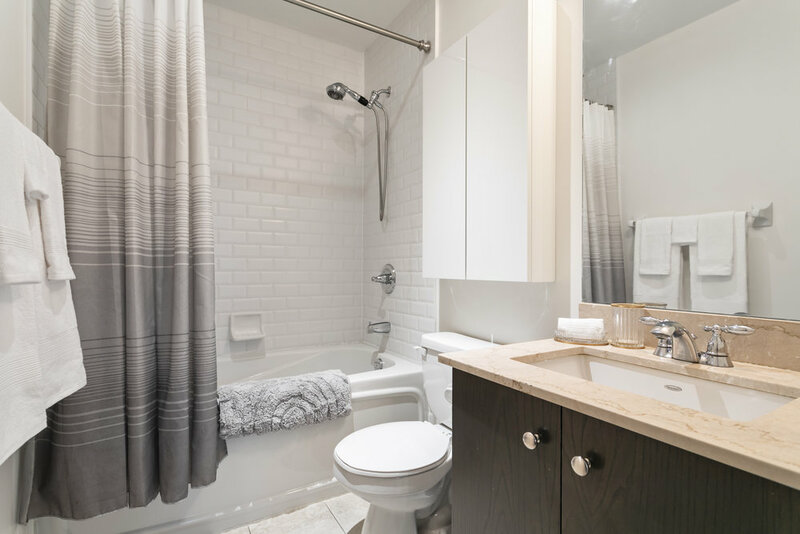 The en-suite laundry room includes a full washer and dryer, along with all the laundry and cleaning supplies that you need, in addition to a full ironing board and iron. The master bathroom has marble counter counter tops, a spacious bathtub and shower combo, and features a full set of fresh bath and hand towels and shampoo, soaps. The second bathroom also boasts a modern shower and a spacious bath. This rather large short term rental is a part of our exclusive Yorkville Furnished Apartments Toronto Collection. 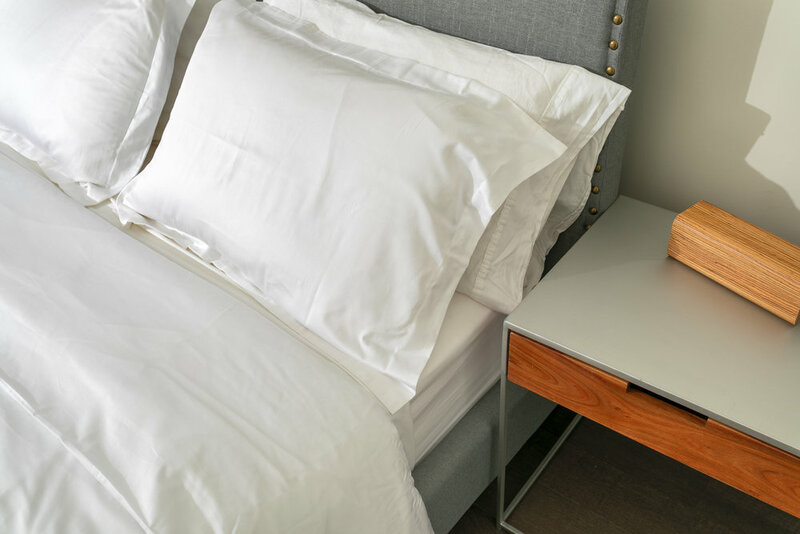 All fresh bed and bath linens are provided, including full bed sheets, and bath and hand towels – our linens are professionally washed or brought in new for your stay. Lease start dates are flexible. Exit cleaning fee of $110 applies to all rentals. 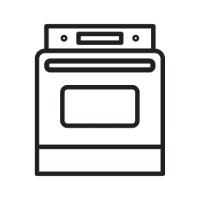 All services included: All Utilities, Hydro, Unlimited WIFI Internet, Cable TV Package, Bed Linens, Kitchen utensils, Bath Linens, en-suite washer/dryer and dishwasher. 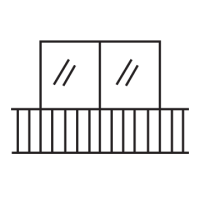 Building facilities: full gym, spin cycling room, business meeting room, roof-top party area, billiard room. The building offers excellent concierge service and amenity spaces – it features two work-out gym facilities, both of which have all the machines and free weights one would need for a good workout. The 24 hour concierge service is excellent and runs 7 days a week. The modern amenity spaces include two party rooms, sauna, theatre room, and media/meeting room. Request The Scollard Modern Furnished Condo. We will contact you shortly about next steps! 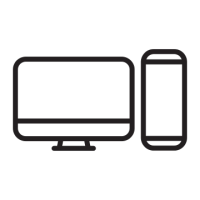 All services (utilities/Unlimited WIFI/TV, etc) included.